SHAH ALAM: Dr Mahathir Mohamad, who has in the past held up Japan as a model,agreed tonight that Malaysia could follow in China’s footsteps towards becominga fully developed country. 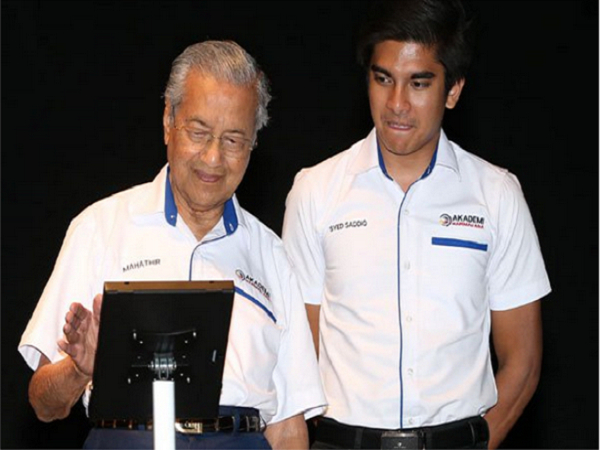 He held up the new Proton X70 as an example of Malaysia being able to produce goods superior to European products. Speaking at a convention on the Rise of the Asian Tiger, Mahathir said Malaysia could follow China’s example if the leaders wanted. Responding to a question from a UiTM student, on whether Malaysia should do so, the Prime Minister said China had once lagged behind Malaysia in economic development, but had forged ahead. They now had the ability to develop their own fighter jets and had sent a satellite to the moon. Citing the example of the Cherry, the first Chinese car to come to Malaysia, Mahathir said that car did not sell well. “Recently, the Proton X70 was developed with a Chinese company and it is superior to most European products. In his keynote address to a hall packed with university students Mahathir also spoke on the importance of working hard. He recalled how he felt bursting into tears after being told that he should “pack his bags” and leave King Edward VII College of Medicine in Singapore by other students who had better results. However, he was more afraid of failure, and this drove him to work and study harder. Mahathir said he was not the best of the Malaysian students chosen to study at KE7 college in 1947. “I only had 3As but others who went with me had 6, 7, 8, 9 A’s. “I was scared when heard of their results. Some who heard I got 3As told me to pack my bags. I even felt like crying,” he said at the event which was attended by several ministers and deputy ministers. Mahathir said he worked hard and read his textbooks repeatedly so that at exam time the images of the textbook pages would come to mind. “So when we are weak, we need to work harder than others,” he told the students. Mahathir also spoke on the importance of seeking and mastering knowledge, trustworthiness and developing a sense of shame to avoid failure, citing the example of the Japanese.